is one of those little-known herbs in western culture. But this has been widely known since the early civilizations. It has actually been cultivated even before the Egyptian civilization began. This was used as cattle feed, as spice in food preparation and as flavoring in wines. The name means “Greek hay” and was probably given by ancient Romans when they discovered the plant and used it for animal feed. It was widely used for holistic medical practices from the Near East to China. Its use was mostly as a treatment for infections and inflammations as well as a health tonic for nursing mothers. This is an annual plant with white flowers and is classified as a legume, and is known for its bitter flavor. It is becoming known for countering the effects of the two disease scourges afflicting modern-day living: diabetes and Alzheimer’s disease. From its seeds, edible dye can be created and safely used. The nutrient information of the herb’s seed is presented in the table below. It shows that the nutrient which is present in the most significant amount is iron. It can supply almost half of the recommended daily intake amount in a day – just from one tablespoon. It also has large quantities of magnesium, phosphorus, potassium, and zinc. Although the multivitamin content is not as high, it is still significant. The fresh leaves, on the other hand, contain very high amounts of beta-carotene and Vitamin C. Protein as well as the minerals calcium and iron were also significantly present. All of these nutrients are very critical to increasing the production of a mother’s milk. This is the reason why the herb is often given to nursing mothers in traditional medicine. 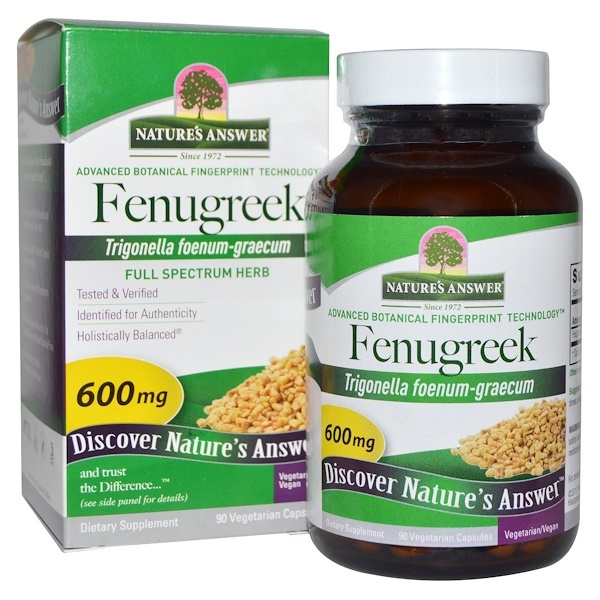 Fenugreek had been used by healers from Egyptian kingdoms, India, and China. They used it as an aid to women during childbearing and nursing. They also took notice of the herb’s ability to reduce and heal skin inflammation and wounds. They made pastes and poultices from the ground plant and seeds. These were topically applied to wounds and other infected skin disorders. They even used the herb’s rich nutrients to rejuvenate thinning hair and other problems of the scalp. The ability to address inflammation made it useful for treating and soothing ulcers and other painful conditions of the digestive tract. They made patients eat or drink concoctions made from it. The plant was discovered to be helpful to help stimulate bowel movements and improve digestion. Other studies are isolation and analyses of biologically active substances present in the plant’s tissues. These yielded compounds like trigonelline. Demonstrated antibacterial, antiviral, fat and sugar-lowering, anti-tumor, and brain-protecting capabilities. One of the beneficial substances isolated from Fenugreek called saponins. The experiments suggested that the Fenugreek saponin has a protective effect that can heal damages caused by infection or radiation from the sun. This plant can help fight off or delay cancer from too much sun exposure. The physical composition of the plant’s tissues is mucilage. Several other compounds have shown evidence for anti-oxidant effects. These include apigenin, luteolin, caffeic acid, and coumaric acid. It is very possible that there are a lot more which are responsible for the plant’s strong anti-antioxidant effect. Antioxidants can counter inflammation that damages body cells like those in the nervous system. Inflammations cause long-term damage to the nerve cells and Alzheimer’s, Parkinson’s and other nervous disorders. In one lab experiment on rats, the ground Fenugreek seed powder was shown to be able to reverse the malfunctioning of nerves tissues hammered by chloride aluminum. Symptoms of memory loss and learning impairment caused by AlCl3 chemical injury were reduced in animals fed with the seeds. This might bring some hope to children with autism syndrome caused by aluminum. The widespread cases of diabetes and obesity has spurred efforts to find a cure, or a way to better manage patients who are affected. Through methods like better nutrition, fenugreek holds the promise to provide both. Current researches are solid on the herb’s ability to control blood sugar and lipids. Thus, the herb shows potential in controlling metabolic diseases like diabetes and obesity. Experiments had demonstrated that both diabetes Type 1 and 2 could be positively impacted. Even normal test subjects in other studies showed an improvement in both ‘fasting blood sugar’ and ‘tolerance to glucose’ tests. To impact diabetes or obesity syndromes, 100-300 grams of fenugreek as daily consumption is recommended. This plant is safe to use. Experimental studies gave evidence for the protective effect of fenugreek seed on the kidney. It did this by preventing the formation of kidney stones. It was even shown to be able to reverse the toxic effects of chemicals like aluminum salts and restore damaged tissues. Some studies were done that gives credibility to the use of the herb to promote reproductive health among females and males. Nursing mother’s who were administered the herb preparations experienced a significant increase in the volume of their milk produced. Male test subjects were able to maintain healthy levels of serum testosterone with a consequent increase in libido. The fenugreek seeds are rich in plant mucus. They absorb water, inflate and become slippery. This heavy mass is not absorbed in the intestines, causing them to increase contractions and empty their contents. Why should I grow Fenugreek? Diabetes, cancer and Alzheimer’s are very much talked about in these days because of their prevalence. These illnesses seem to just be part of growing up and aging in this ‘modern day’ society. Millions if not billions of dollars are spent in research in order to find ways to cure or even just manage them. But the constricted ‘Western’ way of thinking with regards to health is now proving to be wrong. Numerous natural remedies that are right in front of us should not be overlooked. Research is beginning to show that the therapeutic use of fenugreek is one these gifts handed down by the wisdom of our ancestors. Constantly being exposed to pollution and an unhealthy lifestyle greatly increases your risk of being afflicted with crippling diseases later on in life. If you live in the confined city spaces like condominiums, having access to fresh herbs like fenugreek is a better alternative than popping a pill. Consuming the leaves harvested from your condo-farm alone would be very beneficial. 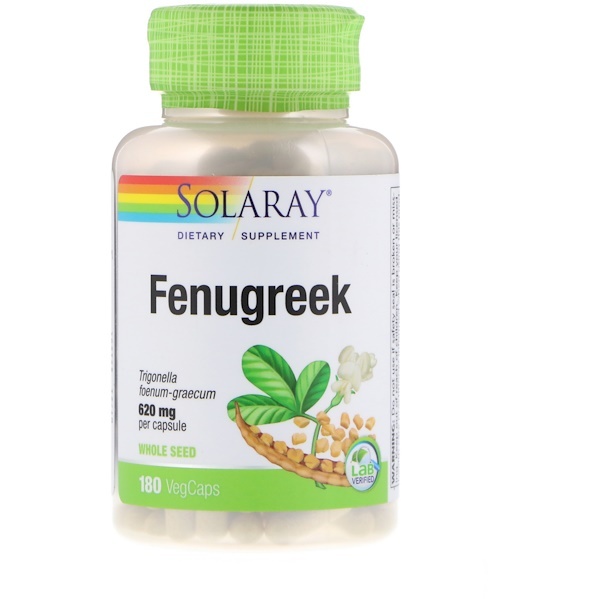 But that is not to say fenugreek is only for those who are old or already with severe diabetes or obesity. 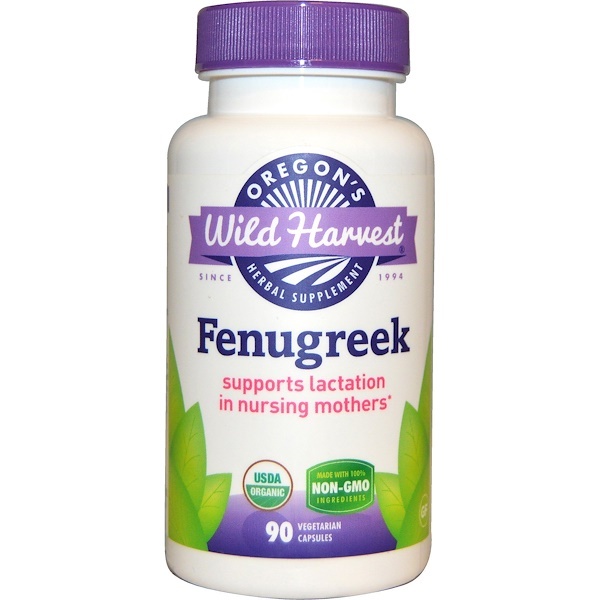 If you are still young, newly married or want to start a family, a diet with fenugreek regularly can help you maintain your vitality and sexual vigor. And when your baby comes, its rich nutrients will also help the nursing mom and your baby. When you are able to produce the seeds, these would provide a substantial and more complete vitamin-mineral and phytonutrient supplement for your daily requirements. Fenugreek is well-known for being a bitter-tasting herb. The seeds in particular are noted for this. One way to reduce the bitter taste is by sprouting the seeds and using the sprouts for your salads. (If your body needs this plant’s nutrients, then you will find this plant tasty and not bitter at all). The best way to sprout Fenugreek seeds is to use a sprout bag like this. Put th e seeds in the bag and rinse it. Let the excess water drip down. Close the bag and put it aside. Once a day, refresh the moisture of the bag. In 2 to 3 days, the seeds will begin to sprout. You can let the sprouts to grow to 4 inches long with leaves before harvesting them. Or – doing this like me – you can take a daily dose of spouts from the bag and eat them. This is the best way to consume the plant’s fresh benefits that our body needs. In a medium bowl, whisk together lemon juice, water, salt, and cumin powder. Pour sprouted fenugreek seeds into the bowl making sure it covers evenly. Combine the onions, carrots, bell pepper and cilantro along with the remaining ingredients. Cool for 30 minutes or so before serving. Combine all the seeds, berries and turmeric in a skillet. Use just medium heat to brown or darken until they give off a very fragrant scent. This will take about 10 minutes. Transfer the spices into another container. To allow cooling before grinding up the mixture in a spice grinder. The curry powder must be stored, if not used, in a dry resealable container away from heat and humidity. 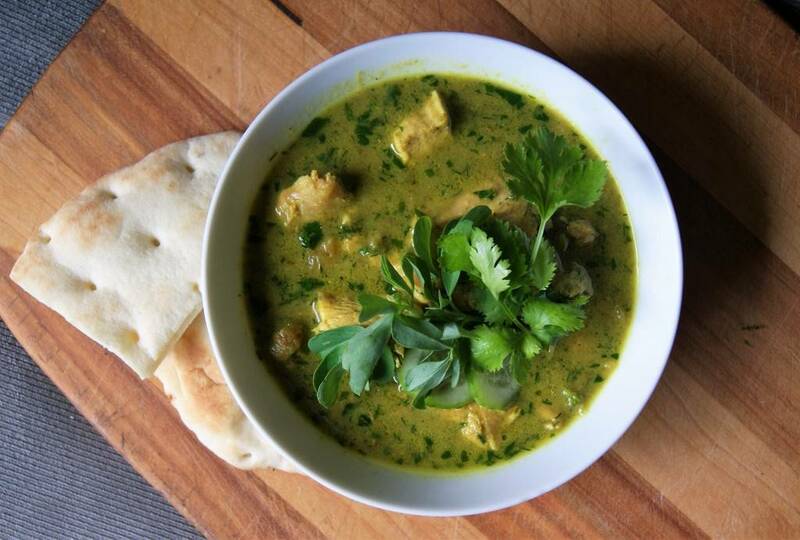 This is a meat recipe you can cook with fenugreek leaves. Mix together all the spices in a bowl. Add salt. And then rub the mixture well into the chicken meat. Cover. Let marinate at least for a couple of hours, or overnight while chilled in a refrigerator. If available, use a heavy-bottomed pan and lid. Heat the oil and then add the meat. Sauté using medium heat until about half cooked. Add the fenugreek leaves and stir once in a while to prevent sticking. After 5 minutes, add the tomatoes, and some salt to taste. Adjust the thickness of the sauce by adding water if needed. Maintain medium heat. Occasionally stir until the meat is thoroughly cooked, slightly brown and the tomatoes are already soft. Fenugreek is an annual plant. So its life-span is several months only. Its life cycle is germination – growing – blooming – and drying. To start growing fenugreek, we need to have fenugreek seedlings. Seed several seedlings in Germination nursery pots and water it. The seeds will sprout within 3 days. Keep them in the nursery pots for two to three weeks. Let them mature a little to be able to survive the transplanting trauma. After two to three weeks, take the seedlings out of the nursery pots. Rinse their root thoroughly and put them in the planter cup. Fill the cup with clay pellets to hold them in place. Put the cup inside a condo-farm planter with a full sun or growing light, and you are ready to grow. Add nutrients to the water in the system properly, and you will have lush healthy leaves to harvest. You can harvest from the plant by cutting the upper third part of the leaves. You can do that several times before the plant enters into its blooming phase (and becomes bitter). Cutting the upper parts will also serve to prune the leaves. This will encourage the plant to produce branches and eventually increase the seed pods created. In the early summer, the fenugreek will start producing white flowers and seeds in long pods. Every pod has about 16 seeds in it. At this stage, the plant leaves become bitter and the stems woody. You can eat the seed pods when they are green, or let them mature to produce the seeds at the end of life cycle of the plant. After several weeks, the plant will become yellow and perish. You can cut the seed pods and let them dry to get the mature seeds. The seeds can be ground into powder or used for another growth cycle. Growing fenugreek, until it matures enough to be eaten, can take two to three months. 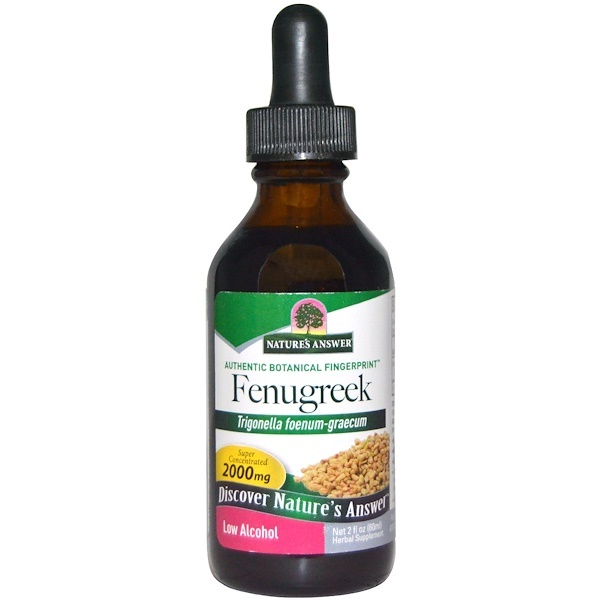 If you want to test the impact of fenugreek on your body, you can order the following products from iHerb, and get them in about a week. Then you can make an educated decision whether you want to grow it or not. Fenugreek Seed Powder Attenuated Aluminum Chloride-Induced Tau Pathology, Oxidative Stress, and Inflammation in a Rat Model of Alzheimer’s Disease. Yosra Belaïd-Nouira,corresponding author Hayfa Bakhta, Zohra Haouas, Imen Flehi-Slim, and Hassen Ben Cheikh Nutr Res Pract. 2013 Dec; 7(6): 466–474. Basch E, Ulbricht C, Kuo G, Szapary P, Smith M. Therapeutic applications of fenugreek. Sharma RD1, Raghuram TC, Rao NS. Sindhu G., Ratheesh M, Shyni GL, Nambisan B, Helen A.
Shivangi Goyal, Nidhi Gupta, and Sreemoyee Chatterjee J Toxicol. 2016; 2016: 1250387. Steels E., Rao A., Vitetta L.
Effects of a fenugreek seed extract on feeding behaviour in the rat: metabolic-endocrine correlates. Petit P, Sauvaire Y, Ponsin G, Manteghetti M, Fave A, Ribes G. Pharmacol Biochem Behav. 1993 Jun;45(2):369-74. Renata Dawid-Pać Postepy Dermatol Alergol. 2013 Jun; 30(3): 170–177. Lem Taylor, Chris Poole, Earnest Pena, Morgan Lewing, Richard Kreider, Cliffa Foster, and Colin Wilborn J Sports Sci Med. 2011 Jun; 10(2): 254–260. A Review on the Functional Properties, Nutritional Content, Medicinal Utilization and Potential Application of Fenugreek. Murlidhar Meghwal and Goswami T K J Food Process Technol 3:181.